If you would like to get in touch with us today, don't hesitate to contact us via our numbers below. We cater for the domestic and commercial sectors, houses, pubs, schools, offices etc. with no job being too large or too small. Take a peak at our Photo GalleryFor some examples of our previous work. Get in touch with us at any time if you have a questionor to make an enquiry. 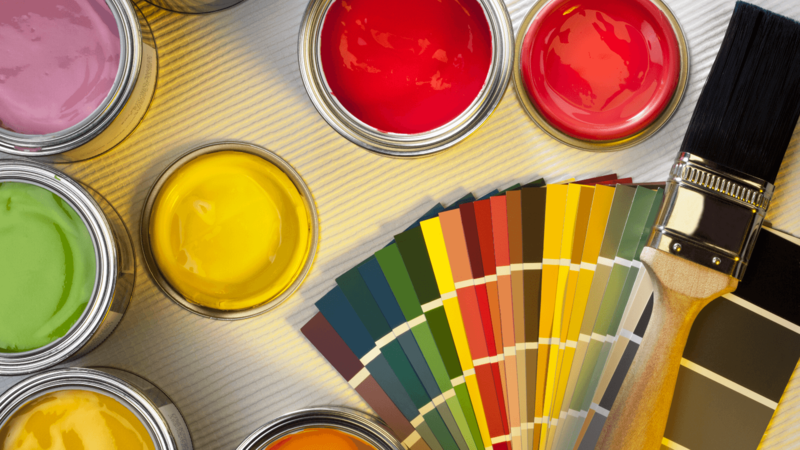 We are a small, friendly, professional decorating company who carry out all aspects of interior and exterior painting and decorating, for commercial or domestic purposes, to a very high standard. We cover Barnsley and surrounding areas in South Yorkshire. We have been established for over 15 years in which time we have built a regular client base in the domestic sector of which any references can be gladly obtained. We also carry out work within the commercial sector and are pleased to count British Gas, Cannon Hall Museum, Cooper Gallery, Barnsley Premier Leisure and Grainger Housing amongst our regular clients. Only the best quality products are used and we offer a free, no obligation quote and any necessary advice on all decorating matters. We can supply colour palettes and also a wide range of wallpaper samples. A colour matching service is also offered, to which any curtains, fabrics etc. can be complemented. We also offer a coving and plastering service. We are fully Chas and Construction Line registered and are fully covered with public liability insurance. We cover all of Barnsley and surrounding area of South Yorkshire with no job being too small or large and we would be more than happy to carry out work further afield. We look forward to hearing from you for a free, no hassle, no obligation quote with professional expertise and promise you our best attention at all times. Only the best quality products are used and we offer a free, no obligation quote. We are V.A.T. registered and have been established for over 15 years and are fully covered with public liability insurance. We also offer a colour advisory service with a vast selection of colour palettes and paper pattern books. We cover all of Barnsley and surrounding area of South Yorkshire with no job being too small or large. Get in touch with us at any time if you have a question, or want to make an enquiry.